In keeping with the principles of Organic Lawn Care of reducing excess water and chemical usages on our lawns, we’re going to continue to investigate ways to keep our lawn healthier and disease repellent, as well as needing less water to survive. 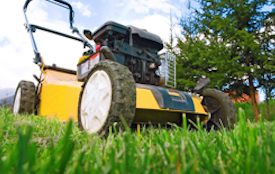 In this Organic Lawn Care article, we’ll take a look into the importance of lawn mowing heights to achieve these purposes. Mowing the lawn higher will naturally create an insulating blanket which protects the soil underneath the lawn from evaporation. The shorter the lawn – the greater the rate of water evaporation from the soil, and the longer the lawn leaf – the lesser the rate of water evaporation. This means the soil of the longer cut lawn will need less watering than a lawn which is cut and maintained at shorter heights. The same principle applies when the heat of summer arrives, the soil of a low-cut lawn will be far more prone to quickly drying-out and heating-up and damaging the roots of the lawn when compared to a longer cut lawn. The longer cut lawn will naturally insulate and protect the lawn and its soil and roots from the damaging effects of the harsh Australian Summers. 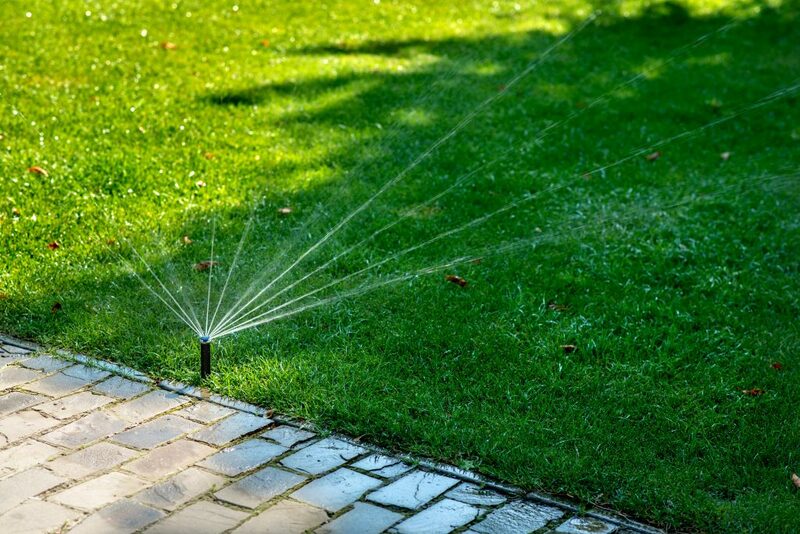 So by cutting our lawns higher, we can save a lot of water every year, as well as saving a lot of money in the process. By reducing the occurrence of lawn problems, we can also reduce our need for chemical treatments to control weeds, pests and diseases, and increased lawn mowing heights can improve lawn health and naturally defeat many of the earliest symptoms of these problems when they first occur. Lawn mowing heights are very important, and it’s easy to say that most people cut their lawns far too short, and as a result, lawns become much weaker which leaves them vulnerable to lawn disease and pest infestations. Short lawns also have a tendency to develop bare patches, of which, only the smallest gaps need to appear in the sward of the lawn that weed seeds can blow-in and take a foothold in our lawns. Now while no lawns can be completely weed, pest or disease free, increasing mowing heights keeps our lawns in their best condition possible where the occurrence of the problems can be greatly diminished, and if they do occur – a healthy lawn can often defeat many of these problems on their own. While increased lawn mowing heights are recommended for most Australian lawn owners to increase overall lawn health and reduce water consumption to our lawns, it’s important to stress that we are recommending correct lawn mowing heights for our grasses, as opposed to having long grass. Each grass type will have its own optimum height for lawn mowing, and this information can be found at the Lawn Mowing Advice page on this website. But generally speaking, many Australians will keep their lawns at between 1 – 2 cm high, when a more suitable height may be between 3 – 6 cm high dependent on the lawn type. Leaving our lawns to get any higher than this can increase the speed of growth due to increased photosynthesis, which can also lead to more lawn mowing, more lawn scalping, and other lawn issues. So when looking for the right height for our lawns – balance and the correct height is vitally important.